Home >> Listings >> LANDOLL CORP. 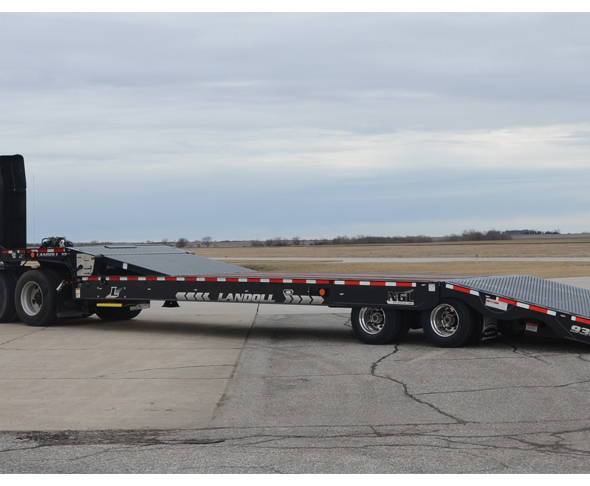 The Landoll 334/33 car trailer is designed for moving a large volume of non-runnable vehicles. The lower deck features a dump angle of 18 degrees and an upper deck angle of 28 degrees. The hydraulically-adjustable upper deck allows for easy transition from trailer to overcab. One winch per vehicle is standard on both upper and lower deck. The tilt cylinder and major steel components are powder-coated. Call 800-428-5655 or visit www.landoll.com.